Decorate with trays to freshen up the look of your home. 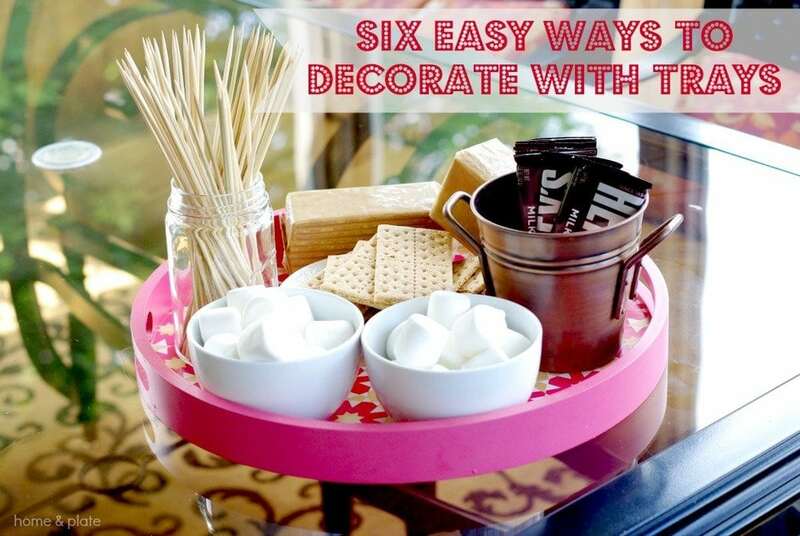 Here are 6 easy ways to showcase with trays. Made out of wood, metal, leather, wicker and other unique materials, trays can be found at many home stores, garage sales and even thrift stores. I use them to decorate, store and display. And if you’re crafty, you can paint, add wallpaper or add embellishments to create a one of a kind tray. I was excited when One Kings Lane reached out to me to take part in their Tray Chic Moment Campaign. The S’mores Dessert Tray is my Tray Chic Moment. What better way to transfer the ingredients we’ll need to roast up a festive dessert that all ages can enjoy. After all, it’s summertime and we spend a lot of time outdoors. A tray comes in handy when we dine on our screened porch or cook on the grill. Here are a few other ways to show off trays that I thought I’d share. 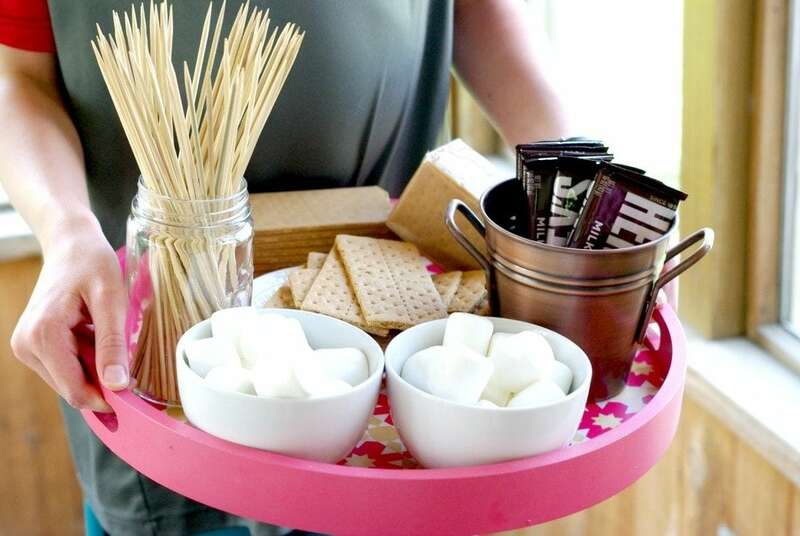 Whether it’s just to serve up your favorite dessert like S’mores or for surprising your loved one with breakfast in bed, trays keep food that is moving from one place to another neat and tidy. Showcase your favorite tray for all to see. Or create a gallery wall. Pair many on a wall for an interesting work of art. 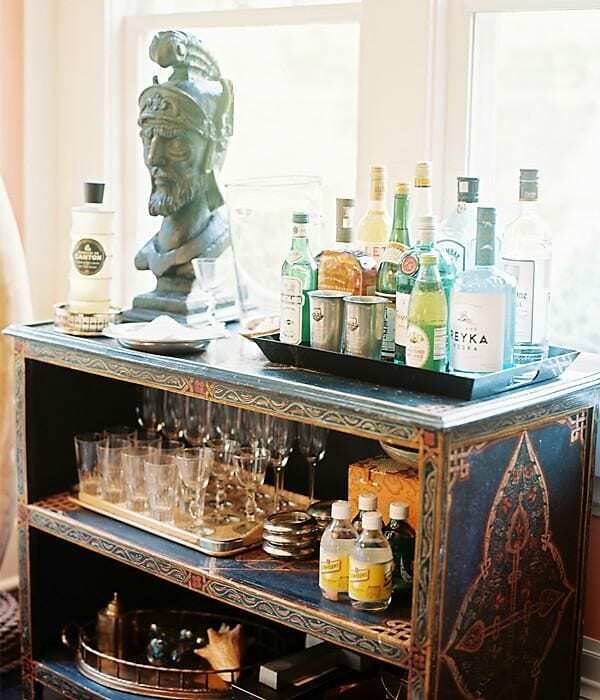 Create a one stop bar or coffee stand when entertaining. Stock your tray with wine and bar glasses and your favorite wines, liquors, mixers and garnishments. Serving coffee? Stock coffee mugs, cream and sugar, and spoons. Use trays in the kitchen to keep your frequently used utensils and cooking essentials nearby. 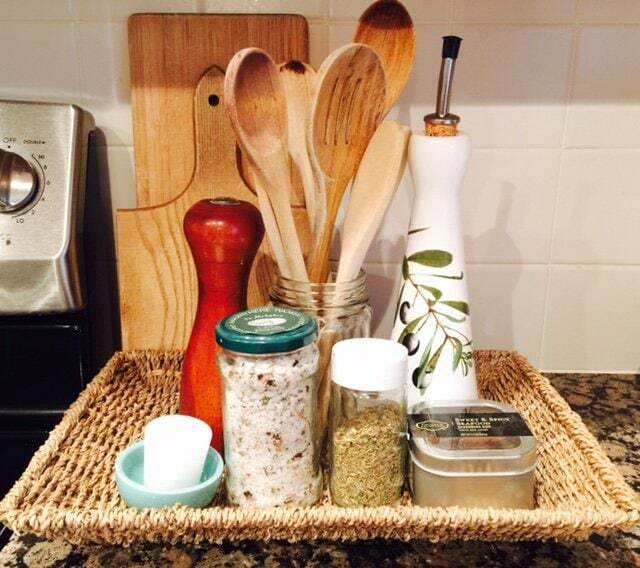 In my kitchen, I’m always grabbing for the salt and pepper, olive oil and herbs. I also keep a tray on my counter top of fresh fruits and vegetables that don’t belong in the fridge like peaches, bananas, pears and tomatoes. A tray is a great way to corral your collectibles. 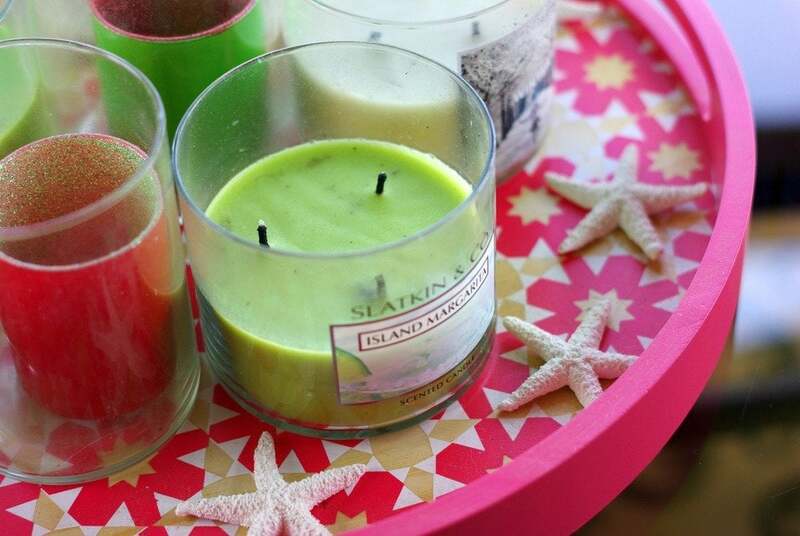 Show off your candle collection, favorite books, or use as a centerpiece during the holidays. I love to display pine cones and fresh greens with candles during the month of December. In the summer, I keep a tray of candles on our screen porch to use when it gets dark. 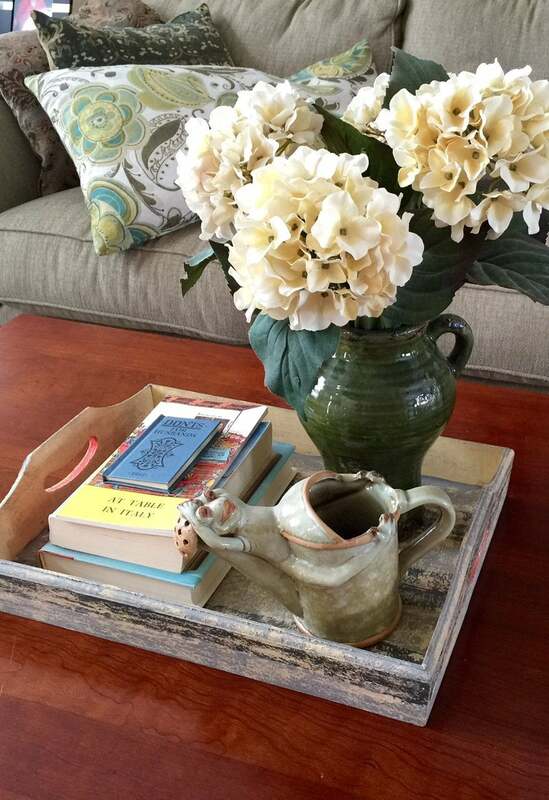 Use a tray to add style and dimension to your coffee table or ottoman. They are functional too. Trays can be used to store the TV remotes in the family room, perfume, jewelry and makeup bottles in the bathroom or a vase of flowers and pottery like the tray filled below. They add visual appeal to any room. Just get creative and find your “Tray Chic” moment. I love the look of trays and I always see ones that I like in stores but I never really know what to do with them! Thanks for these great ideas! Thanks Lauren. Trays are a great way to express your interests. I love decorating with them. Definitely give them a try. Oh this gives me so much inspiration! With my upcoming wedding- I see lots of helpful and beautiful ways to incorporate a few trays helping me organize! Nichole, congrats on your upcoming nuptials. Trays do keep things organized and incorporating them in your wedding is a fabulous idea. What beautiful pictures! I am inspired. 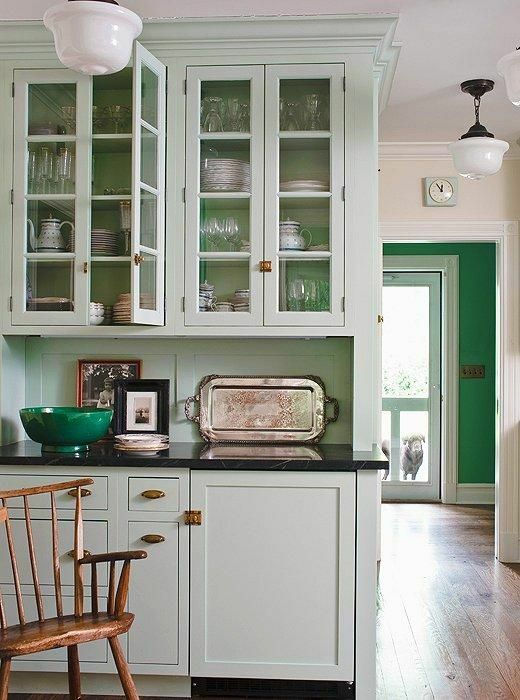 I love these colors and I will try to do something similar in my house. Thanks Sara. I love being inspired and changing things up. I hope you find some ideas for your home. I love these ideas! Beautiful blog, by the way! So clean and easy to read and photos are gorgeous! Thanks Gail for such a sweet compliment. Great ideas! I have a couple of trays that I keep in my cabinet, but I should totally get them out and display them instead! I never thought trays can be decorated in an artistic way. These are fabulous tricks–worth trying.